4450101 S30 LINDE S30 Diesel forklift to 8 t. Spare Parts Catalog. Service (workshop) Manual. Operator's Instruction Manual. 4450102 S40 LINDE S40 Diesel forklift to 8 t. Spare Parts Catalog. Service (workshop) Manual. Operator's Instruction Manual. 4450103 S50 LINDE S50 Diesel forklift to 8 t. Spare Parts Catalog. Service (workshop) Manual. Operator's Instruction Manual. 4450104 S60 LINDE S60 Diesel forklift to 8 t. Spare Parts Catalog. Service (workshop) Manual. Operator's Instruction Manual. 4450105 H50 LINDE H50 Diesel forklift to 8 t. Spare Parts Catalog. Service (workshop) Manual. Operator's Instruction Manual. 4450106 H60 LINDE H60 Diesel forklift to 8 t. Spare Parts Catalog. Service (workshop) Manual. Operator's Instruction Manual. 4450107 H70 LINDE H70 Diesel forklift to 8 t. Spare Parts Catalog. Service (workshop) Manual. Operator's Instruction Manual. 4450108 H80 LINDE H80 Diesel forklift to 8 t. Spare Parts Catalog. Service (workshop) Manual. Operator's Instruction Manual. 4450109 H12 LINDE H12 Diesel forklift to 8 t. Spare Parts Catalog. Service (workshop) Manual. Operator's Instruction Manual. 4450110 H15 LINDE H15 Diesel forklift to 8 t. Spare Parts Catalog. Service (workshop) Manual. Operator's Instruction Manual. 4450111 H20 LINDE H20 Diesel forklift to 8 t. Spare Parts Catalog. Service (workshop) Manual. Operator's Instruction Manual. 4450112 H25 LINDE H25 Diesel forklift to 8 t. Spare Parts Catalog. Service (workshop) Manual. Operator's Instruction Manual. 4450113 H30 LINDE H30 Diesel forklift to 8 t. Spare Parts Catalog. Service (workshop) Manual. Operator's Instruction Manual. 4450114 H35 LINDE H35 Diesel forklift to 8 t. Spare Parts Catalog. Service (workshop) Manual. Operator's Instruction Manual. 4450115 H40 LINDE H40 Diesel forklift to 8 t. Spare Parts Catalog. Service (workshop) Manual. Operator's Instruction Manual. 4450116 H12 LINDE H12 Diesel forklift to 8 t. Spare Parts Catalog. Service (workshop) Manual. Operator's Instruction Manual. 4450117 H16 LINDE H16 Diesel forklift to 8 t. Spare Parts Catalog. Service (workshop) Manual. Operator's Instruction Manual. 4450118 H16-03 LINDE H16-03 Diesel forklift to 8 t. Spare Parts Catalog. Service (workshop) Manual. Operator's Instruction Manual. 4450119 H18 LINDE H18 Diesel forklift to 8 t. Spare Parts Catalog. Service (workshop) Manual. Operator's Instruction Manual. 4450120 H18-03 LINDE H18-03 Diesel forklift to 8 t. Spare Parts Catalog. Service (workshop) Manual. Operator's Instruction Manual. 4450121 H20-03 LINDE H20-03 Diesel forklift to 8 t. Spare Parts Catalog. Service (workshop) Manual. Operator's Instruction Manual. 4450122 H20 LINDE H20 Diesel forklift to 8 t. Spare Parts Catalog. Service (workshop) Manual. Operator's Instruction Manual. 4450123 H20-02 LINDE H20-02 Diesel forklift to 8 t. Spare Parts Catalog. Service (workshop) Manual. Operator's Instruction Manual. 4450124 H20-03 LINDE H20-03 Diesel forklift to 8 t. Spare Parts Catalog. Service (workshop) Manual. Operator's Instruction Manual. 4450125 H25 LINDE H25 Diesel forklift to 8 t. Spare Parts Catalog. Service (workshop) Manual. Operator's Instruction Manual. 4450126 H25-02 LINDE H25-02 Diesel forklift to 8 t. Spare Parts Catalog. Service (workshop) Manual. Operator's Instruction Manual. 4450127 H25-03 LINDE H25-03 Diesel forklift to 8 t. Spare Parts Catalog. Service (workshop) Manual. Operator's Instruction Manual. 4450128 H30 LINDE H30 Diesel forklift to 8 t. Spare Parts Catalog. Service (workshop) Manual. Operator's Instruction Manual. 4450129 H30-02 LINDE H30-02 Diesel forklift to 8 t. Spare Parts Catalog. Service (workshop) Manual. Operator's Instruction Manual. 4450130 H30-03 LINDE H30-03 Diesel forklift to 8 t. Spare Parts Catalog. Service (workshop) Manual. Operator's Instruction Manual. 4450131 H35-03 LINDE H35-03 Diesel forklift to 8 t. Spare Parts Catalog. Service (workshop) Manual. Operator's Instruction Manual. 4450132 H35 LINDE H35 Diesel forklift to 8 t. Spare Parts Catalog. Service (workshop) Manual. Operator's Instruction Manual. 4450133 H35-03 LINDE H35-03 Diesel forklift to 8 t. Spare Parts Catalog. Service (workshop) Manual. Operator's Instruction Manual. 4450134 H35-04 LINDE H35-04 Diesel forklift to 8 t. Spare Parts Catalog. Service (workshop) Manual. Operator's Instruction Manual. 4450135 H40 LINDE H40 Diesel forklift to 8 t. Spare Parts Catalog. Service (workshop) Manual. Operator's Instruction Manual. 4450136 H40-03 LINDE H40-03 Diesel forklift to 8 t. Spare Parts Catalog. Service (workshop) Manual. Operator's Instruction Manual. 4450137 H40-04 LINDE H40-04 Diesel forklift to 8 t. Spare Parts Catalog. Service (workshop) Manual. Operator's Instruction Manual. 4450138 H45 LINDE H45 Diesel forklift to 8 t. Spare Parts Catalog. Service (workshop) Manual. Operator's Instruction Manual. 4450139 H45-03 LINDE H45-03 Diesel forklift to 8 t. Spare Parts Catalog. Service (workshop) Manual. Operator's Instruction Manual. 4450140 H45-04 LINDE H45-04 Diesel forklift to 8 t. Spare Parts Catalog. Service (workshop) Manual. Operator's Instruction Manual. 4450141 H50 LINDE H50 Diesel forklift to 8 t. Spare Parts Catalog. Service (workshop) Manual. Operator's Instruction Manual. 4450142 H50-02 LINDE H50-02 Diesel forklift to 8 t. Spare Parts Catalog. Service (workshop) Manual. Operator's Instruction Manual. 4450143 H50-03 LINDE H50-03 Diesel forklift to 8 t. Spare Parts Catalog. Service (workshop) Manual. Operator's Instruction Manual. 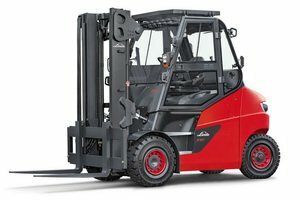 4450144 H60 LINDE H60 Diesel forklift to 8 t. Spare Parts Catalog. Service (workshop) Manual. Operator's Instruction Manual. 4450145 H60-02 LINDE H60-02 Diesel forklift to 8 t. Spare Parts Catalog. Service (workshop) Manual. Operator's Instruction Manual. 4450146 H60-03 LINDE H60-03 Diesel forklift to 8 t. Spare Parts Catalog. Service (workshop) Manual. Operator's Instruction Manual. 4450147 H70 LINDE H70 Diesel forklift to 8 t. Spare Parts Catalog. Service (workshop) Manual. Operator's Instruction Manual. 4450148 H70-02 LINDE H70-02 Diesel forklift to 8 t. Spare Parts Catalog. Service (workshop) Manual. Operator's Instruction Manual. 4450149 H70-03 LINDE H70-03 Diesel forklift to 8 t. Spare Parts Catalog. Service (workshop) Manual. Operator's Instruction Manual. 4450150 H80 LINDE H80 Diesel forklift to 8 t. Spare Parts Catalog. Service (workshop) Manual. Operator's Instruction Manual. 4450151 H80-02 LINDE H80-02 Diesel forklift to 8 t. Spare Parts Catalog. Service (workshop) Manual. Operator's Instruction Manual. 4450152 H80-03 LINDE H80-03 Diesel forklift to 8 t. Spare Parts Catalog. Service (workshop) Manual. Operator's Instruction Manual. 4450153 H14 LINDE H14 Diesel forklift to 8 t. Spare Parts Catalog. Service (workshop) Manual. Operator's Instruction Manual. 4450154 H16 LINDE H16 Diesel forklift to 8 t. Spare Parts Catalog. Service (workshop) Manual. Operator's Instruction Manual. 4450155 H18 LINDE H18 Diesel forklift to 8 t. Spare Parts Catalog. Service (workshop) Manual. Operator's Instruction Manual. 4450156 H20 LINDE H20 Diesel forklift to 8 t. Spare Parts Catalog. Service (workshop) Manual. Operator's Instruction Manual. 4450157 H25 LINDE H25 Diesel forklift to 8 t. Spare Parts Catalog. Service (workshop) Manual. Operator's Instruction Manual. 4450158 H30 LINDE H30 Diesel forklift to 8 t. Spare Parts Catalog. Service (workshop) Manual. Operator's Instruction Manual. 4450159 H35 LINDE H35 Diesel forklift to 8 t. Spare Parts Catalog. Service (workshop) Manual. Operator's Instruction Manual. 4450160 H40 LINDE H40 Diesel forklift to 8 t. Spare Parts Catalog. Service (workshop) Manual. Operator's Instruction Manual. 4450161 H45 LINDE H45 Diesel forklift to 8 t. Spare Parts Catalog. Service (workshop) Manual. Operator's Instruction Manual. 4450162 H50 LINDE H50 Diesel forklift to 8 t. Spare Parts Catalog. Service (workshop) Manual. Operator's Instruction Manual. 4450163 H60 LINDE H60 Diesel forklift to 8 t. Spare Parts Catalog. Service (workshop) Manual. Operator's Instruction Manual. 4450164 H70 LINDE H70 Diesel forklift to 8 t. Spare Parts Catalog. Service (workshop) Manual. Operator's Instruction Manual. 4450165 H80 LINDE H80 Diesel forklift to 8 t. Spare Parts Catalog. Service (workshop) Manual. Operator's Instruction Manual.